*I downloaded this one to my Nook. I really enjoy Edgar Allan Poe, so I am sure I will like this one. *I recently went to Jessica Verday's book signing and picked up a signed copy of The Hollow. I also am hosting a giveaway of a signed copy of this book, so check it out! Goodreads says, "Just when Abbey starts to feel that she might survive all this, she learns a secret that makes her question everything she thought she knew about her best friend. How could Kristen have kept silent about so much? And could this secret have led to her death? As Abbey struggles to understand Kristen's betrayal, she uncovers a frightening truth that nearly unravels her—one that will challenge her emerging love for Caspian, as well as her own sanity. When Abbey's best friend, Kristen, vanishes at the bridge near Sleepy Hollow Cemetery, everyone else is all too quick to accept that Kristen is dead?and rumors fly that her death was no accident. Abbey goes through the motions of mourning her best friend, but privately, she refuses to believe that Kristen is really gone. Then she meets Caspian, the gorgeous and mysterious boy who shows up out of nowhere at Kristen's funeral, and keeps reappearing in Abbey's life. Caspian clearly has secrets of his own, but he's the only person who makes Abbey feel normal again...but also special." *I also went to Michelle Zink's book signing and picked up a signed copy of this book. I've heard some great things about this series; I am excited to start reading it. Plus, Michelle was so nice! Goodreads says, "Sixteen-year-old Lia Milthorpe and her twin sister Alice have just become orphans, and, as Lia discovers, they have also become enemies. The twins are part of an ancient prophecy that has turned generations of sisters against each other. To escape from a dark fate and to remain in the arms of her beloved boyfriend James, Lia must end the prophecy before her sister does. Only then will she understand the mysterious circumstances of her parents' deaths, the true meaning of the strange mark branded on her wrist, and the lengths to which her sister will go to defeat her." *This book doesn't come out until February, so I am very excited to get my hands on an ARC through Book It Forward Tours. I love Lauren Oliver's writing style and Before I Fall was an outstanding read. I hear this one is a bit of a dystopia, so I am sure to like it! Goodreads says, "Before scientists found the cure, people thought love was a good thing. They didn’t understand that once love -the deliria- blooms in your blood, there is no escaping its hold. Things are different now. Scientists are able to eradicate love, and the governments demands that all citizens receive the cure upon turning eighteen. Lena Holoway has always looked forward to the day when she’ll be cured. A life without love is a life without pain: safe, measured, predictable, and happy. But with ninety-five days left until her treatment, Lena does the unthinkable: She falls in love." Florida! Lucky girl. :) Enjoy the sun and of course the awesome books you got there. Great choices! I liked the spooky atmosphere of Nevermore. I have the rest of your beach reads on my TBR stack. I'll be looking forward to your reviews. My YA Mailbox is here. Happy reading! Awesome books this week. I loved Nevermore and Prophecy Of The Sisters. Can't wait to see what you think of them all. Happy reading! 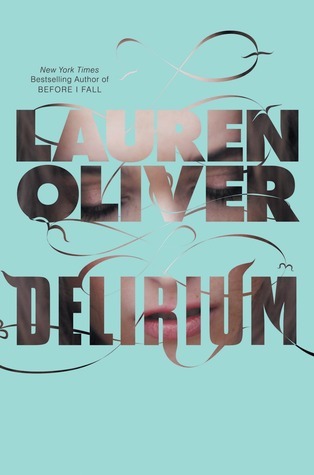 I'm looking forward to Delirium. I have Prophecy of the Sisters, but haven't cracked it open yet. nevermore looks awesome! i have the hollow and prophecy of the sisters but haven't had a chance to read them yet. enjoy!! I'll be looking forward to your review on Nevermore. I've been wanting to read Prophecy of the Sisters but for some reason have yet to do so. Can't wait to see what you think. Delirium is so good! Enjoy! let me know how Delirium comes through, especially would love to hear mover on Nevermore and if Poe is given a good bow as its inspiration. Nevermore is definitely on my wish list. I had a fun MG novel IMM this week http://blog.juliealindsey.com/ Thanks! Thanks for checking out my post, everyone. I hope you had a great weekend!